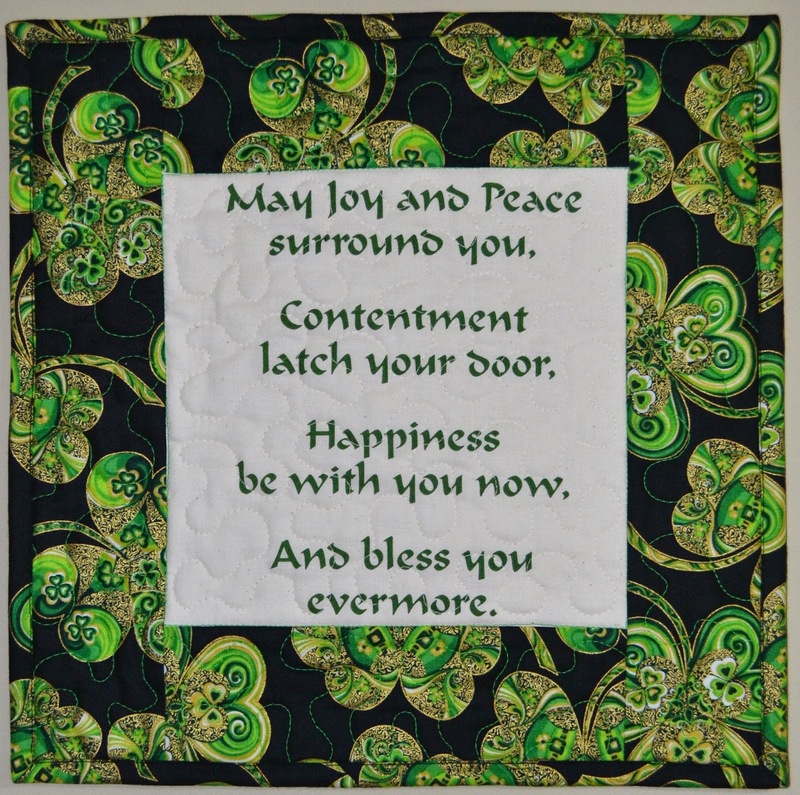 I recently picked up this panel at a local quilt shop (Addie's Creative Fabrics in Cochrane, Alberta) and some great St. Patrick's Day fabric at another shop (Along Came Quilting in Calgary, Alberta) and put them together into a few mini quilted wallhangings! If you can't find the panel in your local quilt shop, they are available here at Block Party Studios. 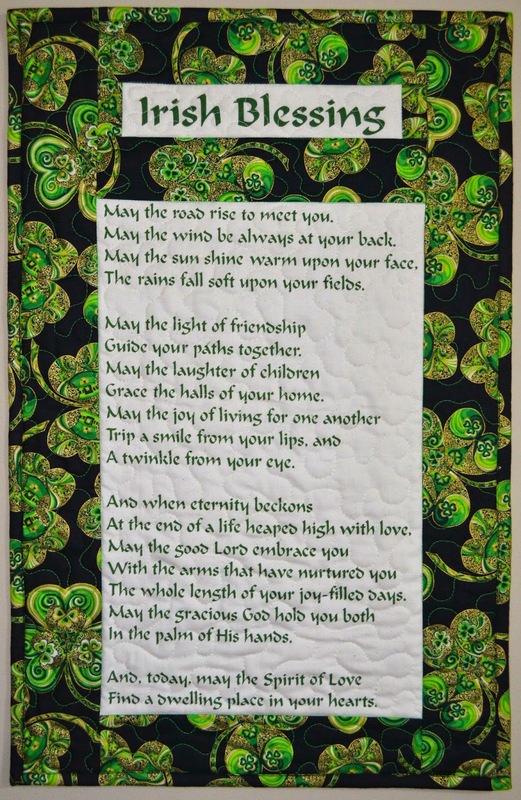 I love these Irish blessings - they just make me feel good inside! And the green is a lovely reminder that spring will come again! And this last one is a celetic knot that I hand stitched with bias strips. Sometime I will have to show you how this is done as it's quite a fun technique. This is a nice size (the knot is about 6" across) project for the first time doing this technique. Kim Diehl Table Runner almost done!